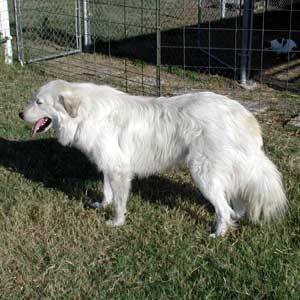 After seeing our Great Pyrenees, Marty, develop into a great livestock guardian dog we became interested in breeding livestock guardian dogs. Knowing that Marty is protecting our sheep gives us peace because our animals are protected and safe. 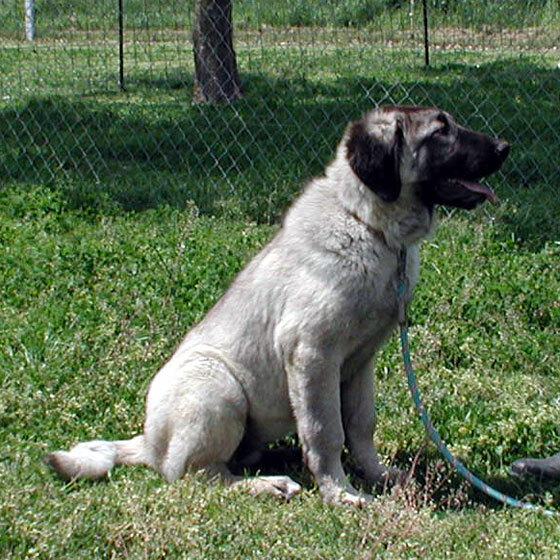 After much research we learned about another breed of livestock guardian dog, called an Anatolian Shepherd, which we found we liked. So in September 2003 we purchased Maggie with the intent of breeding top quality AKC registered Anatolian Shepherd dogs. We are amazed daily at how fast she learns. 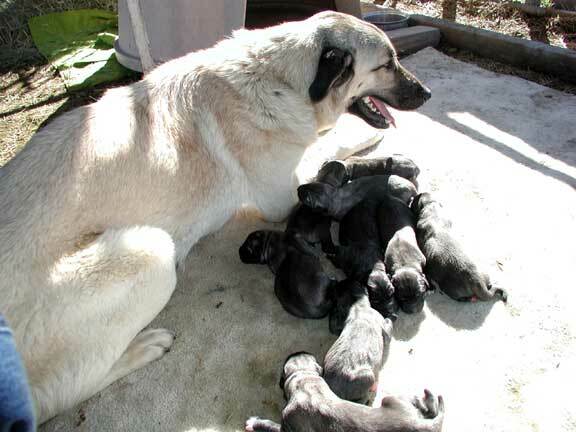 She had her first litter in December 2004. She has OFA certification for hip joint conformation as "good". In July 2009 Maggie passed away. 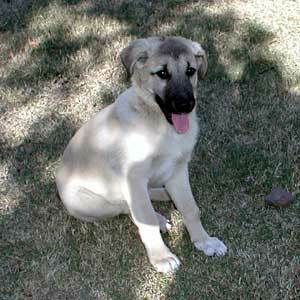 Mona, one of Maggie's pups, is a beautiful gray fawn with black mask Anatolian Shepherd.